1942 original NES Nintendo Game cartridge only - Cleaned Tested and Guaranteed to Work! 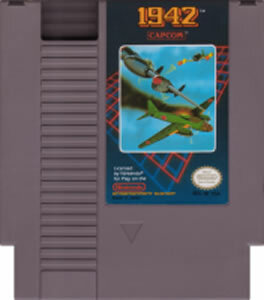 One of my favorite airial type games for nes. Super fun! Great game. perfect condition. looks brand new. This was the classic game I remembered from from my youth with all the straight forward shooting fun of a 2D scrolling screen. Function of the game itself has been flawless and delivery time was excellent. I have no reservations about buying from Lukie again. 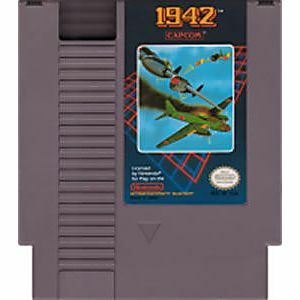 1942 is a shoot 'em up game from Capcom. It's one of the earlier shoot 'em up games I remember, and it's one of the best. The gameplay can get somewhat tedious at times, and it is not an easy game. 1942 is worth owning, and I tend pick it up to play every once in a while. Bought for my husband. He really loves playing these games and so do some of his old friends.